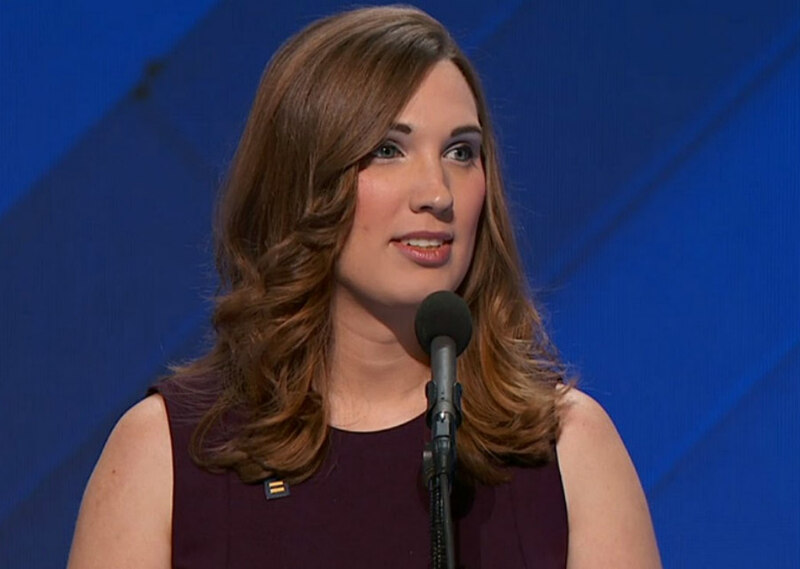 Sarah McBride is the national press secretary at the Human Rights Campaign, and in 2016 became the first openly transgender person to address a national political convention. 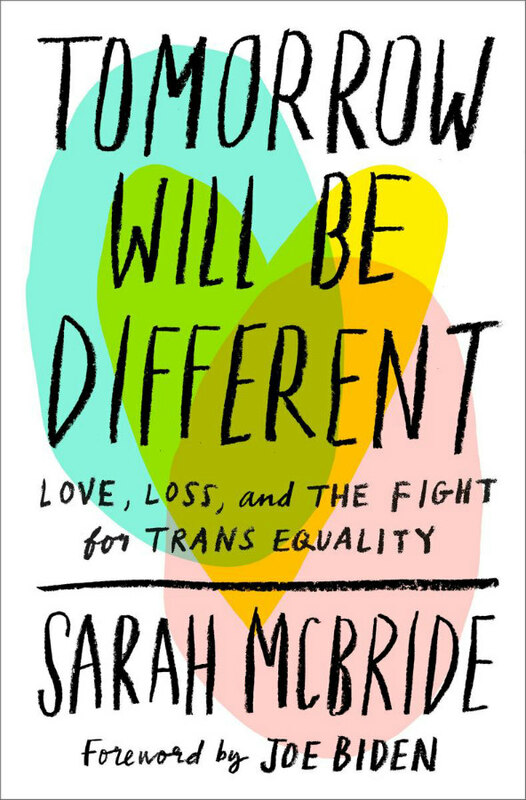 In her new memoir, Tomorrow Will Be Different: Love, Loss, and the Fight for Trans Equality, McBride opens up not only about her transition and meteoric political career, but about loving and losing her husband Andy to lung cancer just days after their wedding. The book arrives at a time when transgender rights around the country are imperiled and support among cisgender people shows signs of slowing, but its author is undaunted. 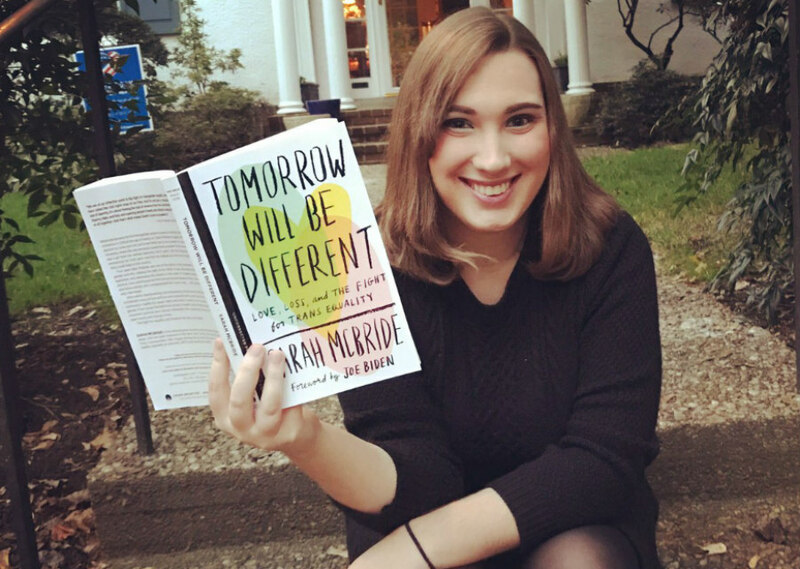 Speaking to me by phone, McBride told me why she’s proud to be trans, how to wield the double-edged sword of visibility, and what keeps her hopeful in troubling times. You and I have both lost people close to us to cancer. I lost my dad to brain cancer in 2012, so it was sometimes difficult to keep reading [about Andy’s fight with cancer] because so many of those emotions are so extremely relatable and so tough to voice. You could make the case that the passages where you’re talking about dealing with Andy’s diagnosis and the treatment and everything is at least as, if not more, vulnerable than when you’re talking about transition. Was that time difficult to relive while writing this book? It was. So much of the book is obviously wrapped up in my relationship with Andy, and it was really difficult to relive in such detail and to write it. At the same time, though, I felt blessed and fortunate to be able to relive the positive moments in our relationship for this book, because so often we get consumed with how our loved ones passed away and the experience around their passing. And obviously that’s a large part of our relationship and certainly a portion of the book, but I felt fortunate to relive more of the positive experiences that didn’t have to do with cancer, and to really reflect on just how fortunate I am and was to have had Andy in my life. Do you feel like you’ve gotten a sense of closure [from writing this book]? I talk about the quote from my brother of looking around and bearing witness to acts of amazing grace throughout the last month of Andy’s life. Reflecting on those experiences have, in a strange way, allowed me to figure out how to continue to advocate from a place of urgency and authenticity in this new era of Donald Trump and so many attacks on the trans community. It has taught me that even in the darkest moments, even in the most troubling times, all of us can bear witness to acts of amazing grace. It reminded me that hope only makes sense in the face of hardship. And it gave me clarity not just in terms of my relationship with Andy and the lessons learned, but clarity in how to move forward in this new challenging era. Right after Andy’s diagnosis, there’s a small passage about “what role his trans identity played in his disdain for feeling dependent.” And that really jumped out at me. I really thought it was a great summation of how transness can have effects on and roots in places of our lives we don’t necessarily expect [it] to. Did you draw relations and make connections you hadn’t expected before you started the book? Yeah, absolutely. In many ways, I would recommend everyone take the opportunity to really dive in and reflect on their experiences throughout their lives. I was surprised at just how many connections and revelations I had throughout the process of writing this book. Seeing connections between seemingly unrelated events and identities that in reality, connected and interacted and complemented one another in really profound ways. And I think the paragraph you pull out is one of them. I think it goes to, particularly with my trans identity, this recognition that I’m proud that I’m transgender. I feel like the experiences that I have had as a transgender person, the insights, the journey, have helped me become a better person, a more compassionate person, probably a stronger person than I was before. And that’s one of the reasons why our identities are so important, and why I’m proud of who I am. We are the sum of our experiences, and they interact in ways both visible and invisible every single day. I think most people don’t take time to reflect on that, and I feel privileged to have been able to have that opportunity—to see the invisible connections between experiences and events in my life. There’s so much [trans people] have to contribute to our conversations, as a community, as a country, and as a world. As I talk about in the book, the challenges we face as trans people—the discrimination and the stigma—is a fault with society, not a fault with being transgender. And frankly, everything that is inextricably linked with my trans identity, I find to be things I wouldn’t trade for anything—whether it’s meeting and falling in love with Andy, seeing the world through new and changing perspectives, or an increasing empathy and compassion. Those are things I wouldn’t trade for anything, and what I would trade is the way society too often treats transgender people. Your story really illustrates how trans visibility can be this double-edged sword, where on one hand our collective rights and needs are finally being discussed, and we’re making progress on some things, but at the price of being targeted for harassment and violence. And obviously, various people experience those effects in different ratios. I wondering if you have thoughts on how we can try to mitigate the downsides to visibility while pushing for those upsides? It’s a great question, and I think one of the things the LGBTQ community has fallen into [is] this dangerous narrative of thinking that every single person needs to be out. And I think that is an unfair burden to put on an already marginalized community. 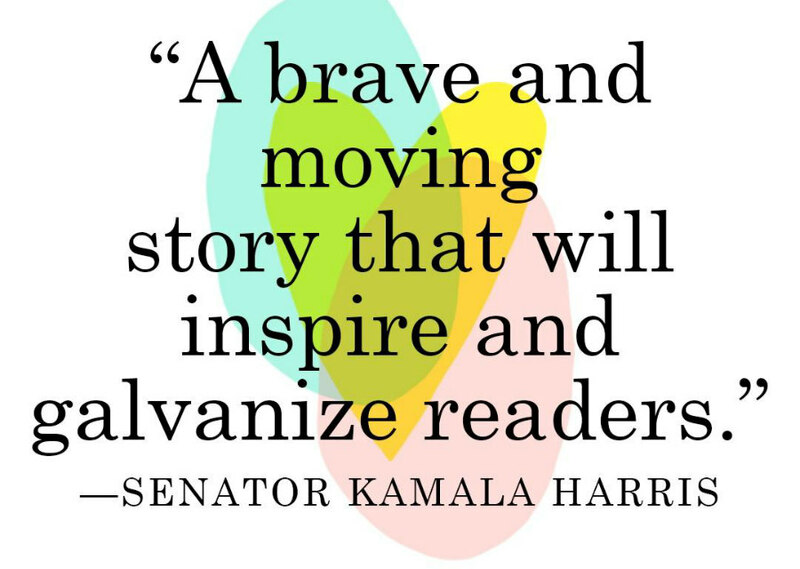 In many ways, it is wonderful to be out—there’s no question that in sharing our stories, we can both find power in our voices and also help propel progress forward for our community and our world—but we shouldn’t universalize that need. We shouldn’t require that everyone live their gender identity or sexual orientation in a particular way because we think it might have positive outcomes for the movement. And so what I always try to tell folks is “you are the best expert in what you need, and what is best for you.” That may mean being out, it may mean being not being out. It may mean being out in certain circumstances. And I think we as a community need to give people the space to decide for themselves and to move forward with how they feel is best for their safety and their well-being. In many ways, I didn’t have much of a choice because I came out as student body president. I could have waited, but there was not much of a choice. People were going to notice no matter what because of the life that I had lived before my transition. But I also feel a sense of personal responsibility, which I wouldn’t universalize to everyone, that given the privileges I have, the support system that I have, to bear more of the backlash or face more than others. Because I know it’s already so difficult to be myself in this world, and I can’t imagine how much more difficult that would be when you throw in other intersecting and marginalized identities. We need to center the voices of trans folks living at the intersection of multiple marginalized identities, but I also recognize that when we universalize this narrative of needing to come out we’re putting a particular burden on those [people]. Visibility has effects on how the trans community treats you as well, and people can be blunt and decisive about letting you know when you’ve let the side down as a trans person with a platform. You’ve spoken with Danica Roem, who’s been the subject of controversy for choosing not to talk so much about trans issues on the campaign trail. Given your rapid rise to national visibility, has that been intimidating for you to contend with? There’s no question that criticism from my own community carries more weight, and can sting more than criticism [from] outside the community. But I think it’s so important! It’s so important for people within the community, particularly those who face challenges that I don’t, to hold the most visible, the leaders, the activists within the community accountable. That doesn’t always mean that every single critique is easily adopted or even can be adopted, but that critique is always necessary and good to hear. And as important as it is, and stinging as it is, it’s part of the job. If the worst thing I have to deal with are people telling me when I do something wrong, then I’m okay with that. I try to always remember that if somebody’s criticizing me, particularly if they’re a member of the trans community, or let’s say the disability community, or the Latinx community, or the Black community, it may be the first time I’m hearing it, but it could be the 20 time that day they’ve had to give that critique. So I always try to remember to enter the space with that understanding and recognition of my own privilege and ability to take and hear that critique. The fact that it stings more means that I need to hear it, sit with it, and figure out what those critiques should mean for how I move forward. You’ve been involved with politics for a healthy chunk of your life, and much of it has been spent with various institutions like the Democratic Party and HRC that can hold a contentious place for a lot of [trans] people. We’re roughly the same age, and I know a lot of trans women who are around our age are a lot more radicalized and really want to push further left. How do you maintain your faith and energy in these institutions? You write in the book that a lot of this work is incremental, can be maddeningly slow, and the setbacks can be really discouraging. So how do you keep your faith in the political process we have right now? I think there are a couple different things. My perspective on change is that we need every single pressure point to achieve the kind of change that we truly need. We need folks in politics, we need folks marching, we need folks organizing direct action. And we need people demanding change quickly, we need people demanding the more radical, we need people willing to be around the table. We need all of those pressure points to actually achieve change and move the issues we’re working on forward. I have come to realize that the skills I have and the contributions I can make are oftentimes in the sphere of politics and mainstream organizations. That’s sort of broadly speaking how I approach this work and my thinking on difference in tactics. I think every person should approach institutions with a healthy skepticism. But what provides me hope is that I have seen organizations change. I saw firsthand the commitment of the Human Rights Campaign in Delaware, Trans Equality, I see it obviously every day in my job right now. I’m proud to work with folks I know are passionate and committed to intersectional change and trans equality. 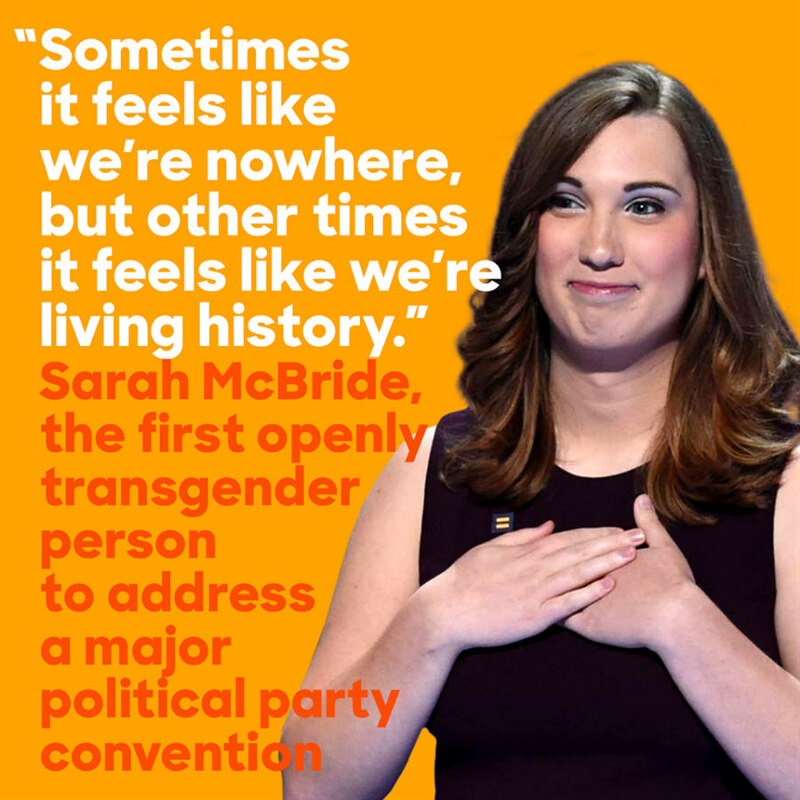 Fifteen years ago, the presence of a transgender person onstage at the Democratic [National Convention] would have been an incomprehensible thought. But obviously in 2016 I had the opportunity to stand on that stage. That is change. As frustrated as we can be with how slow change often comes—and it is always too slow, no matter how fast it is, it is always too slow—we can never do lose track of how far we’ve come and the change we’ve been able to achieve. I talk about it at the end of the book: The fact that there are trans youth—10, 11, 12-years-old—who are living their truth and dreaming big all at the same time is a reflection of a transformational change. Something that has gone from an impossibility to a possibility to a reality. And that’s what gives me hope in this time. That’s why I continue to engage in politics when I think so many people have checked out or believe that we can’t achieve change through the political process. I believe we have seen transformational change, and we have the capacity—with the right people, the right values, and the right grassroots energy—to actually achieve the kind of change that we need. That doesn’t mean trans kids don’t face challenges; in many ways, they face unprecedented challenges because they’re the first generation of trans youth, which means they’re facing the first generation of blatant attacks, but also because we’ve seen anti-equality politicians specifically and uniquely target trans youth. So there’s no question that there are unprecedented challenges, but it’s difficult for far too many trans youth across the country. But the mere fact that they exist today demonstrates how far we’ve come, and I think it’s important not to lose sight of that because when we lose sight of that it becomes far too easy to give up. You used the phrase “pressure points” regarding politics, and I want to talk about a potentially thorny and uncomfortable topic because #MeToo is still rolling forward, and that’s the first thing that comes to mind for me in the current climate. 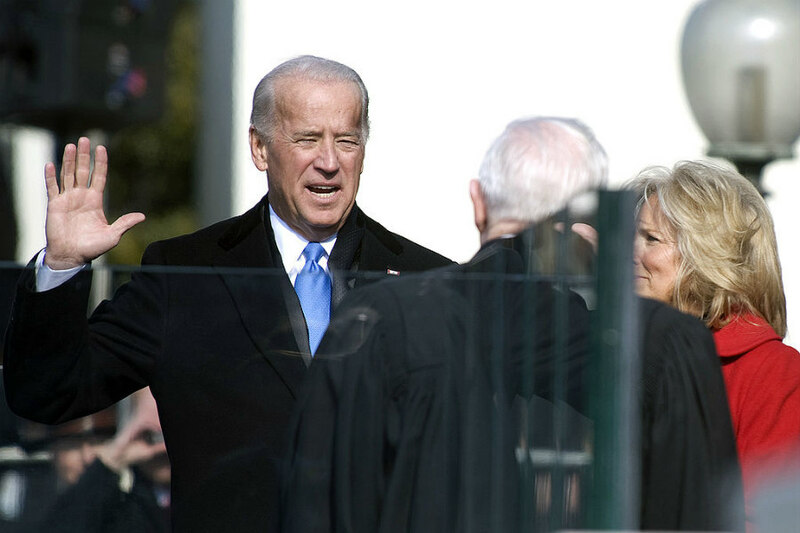 People on the left are being forced to grapple with the need to address bad actors in progressive circles, and even before the hashtag, this touched your friend Joe Biden (who wrote the forward to your book) a couple years back when people were scrutinizing his handsiness on stage. I’d like your perspective for how can the left set the standard for dealing with sexual harassment and abuse going forward, when some people think Al Franken shouldn’t have resigned because we need all hands on deck? I think that underscores a larger point: As progressives, we are too often lulled into a sense of complacency. We think that because we’re progressive, [we’re] sort of at “peak wokeness.” What’s so important for us as progressives is to always be reevaluating ourselves, whether it’s in the conversation around #MeToo, racial justice, gender equity, disability rights or LGBTQ advocacy. [We must] always challenge ourselves as much as we’re challenging the country because at the core of of being progressive, or being left-of-center or left in general, is this notion of wanting society to change. And we cannot ask other people to evolve if we aren’t willing to evolve ourselves and constantly be interrogating what might we be doing that might be unintentionally hurting others? Who are we leaving out? Who remains invisible even in our inclusive conversations? Progressives have to lead by example, and progressives have to be willing to grow. I think there’s also a responsibility to acknowledge when progress occurs, when people evolve and change and improve, but at the start, it does require us individually as leaders [and] activists to constantly evaluate ourselves and be willing to change. I really try not to make everything I write about trans stuff, but we were just talking about how how transness and the themes thereof touch everything, and now we’re talking about re-evaluating yourself as a person. Right. I mean, in many ways, I think about how much I’ve grown because of my trans identity. I think it has taught me to continue to allow myself to transition. I’ve realized throughout my journey as a trans person just how much I can learn at each step and just how ignorant I was in the previous step. At each step, being surprised at the new things I learned just underscores for me how much more there is always to learn. In the book you reference a Maya Angelou quote that’s informed a lot of your activism: “At the end of the day people won’t remember what you said and did, they’ll remember how you made them feel.” When I read that, I remembered watching some of the Equality Delaware [TV ads], where it’s you and your parents in this very Americana-wholesome scene, where you’re essentially coming out on TV. How much of that was calculated, using that set of images and evoking those specific emotions in the people you knew were going to be watching? It’s my parents’ living room, so there wasn’t much calculation in terms of where it was filmed. Whenever you’re messaging on something or talking about an issue, you’re picking the points you want to make when you don’t have much time. What’s clear to me is that there are two fundamental parts of advocacy that are necessary in reaching people’s hearts and minds. One is vulnerability and the other is authenticity. And you need to root your advocacy in authentic feelings and authentic goals. We do better when we ask for what we need, not what we think we can get. 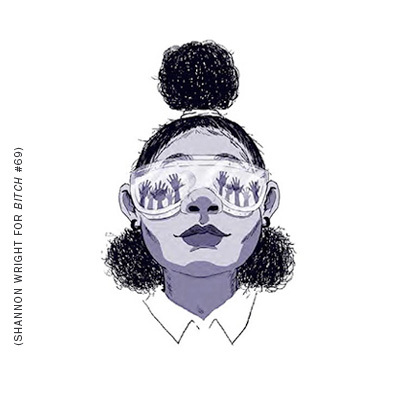 We do better when we talk about our perspective on issues, not from poll-tested sound bites, but what we’re feeling and what we want. And similarly, I think that there is power in vulnerability. Vulnerability is shared experience across gender identity, across sexual orientation. Everyone has felt vulnerable at some point, everyone has worried and wondered whether they’re good enough or if they have what it takes. Everyone’s been scared. And in articulating those hopes and dreams, those fears and those worries, you can reach people across ideologies, across geography, across identities, and build a foundation to move forward from. In many ways, it can be dehumanizing to have to bare all in front of the public, but in other ways it can be empowering to own your vulnerability, to own the fears and the hopes and the dreams and the worries that your have. There have been moments where it’s difficult and being open about what I’m feeling has empowered me and brought me strength. But I think those two things, authenticity and vulnerability, are both necessary prerequisites and powerful tools in advocacy work. I think the disconnect with some trans activists regarding “hearts and minds” is that can sound a little like assimilation. How would you go about balancing desire to still be ourselves and not capitulate to society, but also leverage what influence [on] people’s feelings we have? One of the things I try to do in the book and in my advocacy is recognize that there are certain universal experiences, right? Generally speaking, the experience of being scared and the experience of worrying. Those aren’t emotions or experiences that are unique to people who conform, they cross basically all differences. And I think [we should] establish and invite people in through that, but once they’re in, utilize the conversation to articulate the power of difference. Differences are a good thing and make this world more beautiful and interesting. So all of us come with different identities, preferences, desires, hopes, and dreams, and we don’t need or want everyone to be the same. Allowing people who have lost track of the humanity of other people to understand that we all share a common humanity, I do think that’s a first step. And I think what we need in this society isn’t just basic compassion, because so often, that’s compassion for people who are the same as us in every way but one or two. We need radical compassion, which is compassion for people who may be different than us in every single way but our shared humanity—and I think we enter through that shared humanity. There’s a groundswell of marginalized people, including trans candidates and activists, getting involved in elections across the country. What advice do you have for other trans people who are trying to get into politics right now? Seize the moment. Know that you are worthy, know that your voice matters, and never be discouraged by what seems impossible in that moment. If there is one thing all of us have seen throughout our lives as transgender people, it’s that in living our truth, we transformed what once seemed impossible into a reality. And if we can do it with one of the most difficult things one has to grapple with, then we can do it in running for office. We can do it in making a difference in politics, and we can do it in changing our community and our countries. Never doubt that you are worthy, never doubt that your voice matters, and never doubt that you are capable of doing something impossible. In a society swimming in anti-trans propaganda, we need trans stories more than ever.